A basement is simply a room that is beneath the main floor of a building or a house. This however does not mean that a basement should be completely underground. It is creative to have a walkout basement to not only make the basement easily accessible but to also add lighting to the basement. In most cases, walkout basements are located on a sloping land so that some part of the basement room is on the ground surface. There are very many designs for basement walkouts that you can explore to make your basemen space beautiful. Basement doorways have several benefits when installed. For instance, they make the house more attractive and they also ensure that there is enough space. Basement doors also help guests and visitors to know that there is a basement underneath the house. The kind of door to install depends on the theme of your house and your preferred taste. You can set it to complement the theme of your house or you can choose to install and different type of door so that the theme of the basement is unique and independent from that of the house. 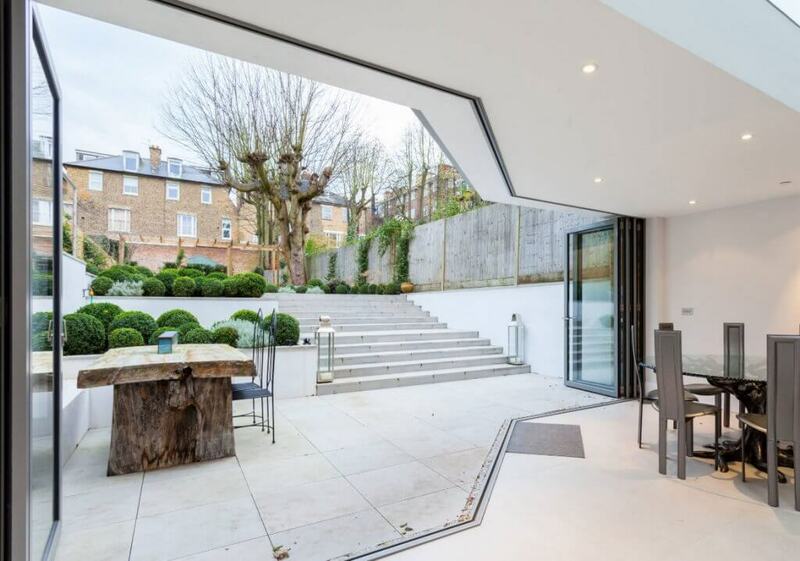 However, the choice of doors to install should ensure that the basement is aesthetically appealing and safe at the same time. The most common types of doors that people install for their walkout basements include single doors, grand entry doors and double doors. Personalization can also add a sense of class, glamor and sophistication. Most of the houses have patios and decks. In most cases, patios are constructed as extensions of the house either in the backyard or at the front of the house. Patios are a place where guest are entertained and outdoor fun activities are done. When you have a walkout basement in your compound however, it means that you have much more space in your space that you can utilize by constructing a patio. In addition to being a not so common idea, it also ensures that you do not have to interfere with your yard space. Setting up a walkout basement patio ensures that you have a private area all to yourself that you can access only by the stairs even though it is an outdoor space. 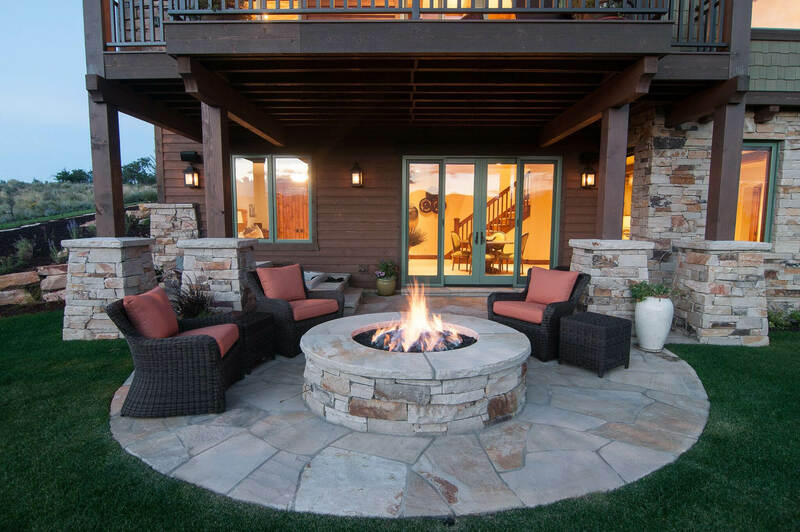 This patio can be your own space where you get to enjoy the summer nights alone without disturbance. The size of your walkout basement patio can vary in size, design and even utilization depending on your personal preference and taste. For instance, you can set this patio to be a playing area for the kids because it is hidden and secured from the other parts of the house. Another alternative for the utilization of this patio is making it a reading and relaxation space. You can furnish it with some piece of furniture to make it a sanctuary where you can go to read, relax and have some alone time. This is a choice that will help to make your basement look classy and it is also an avenue for you to showcase the beautiful exterior designs you have in place. With this, you create a large space that you can fill up with furniture and other furnishing pieces. You can also go an extra step by covering up the place to shelter it from the sun and rain and make it suitable for relaxing. You can customize the patio space by furnishing it with toys and even a sand box. Since it is already a safe space for the kids to play, adding the toys and accessories will make it a suitable playground. 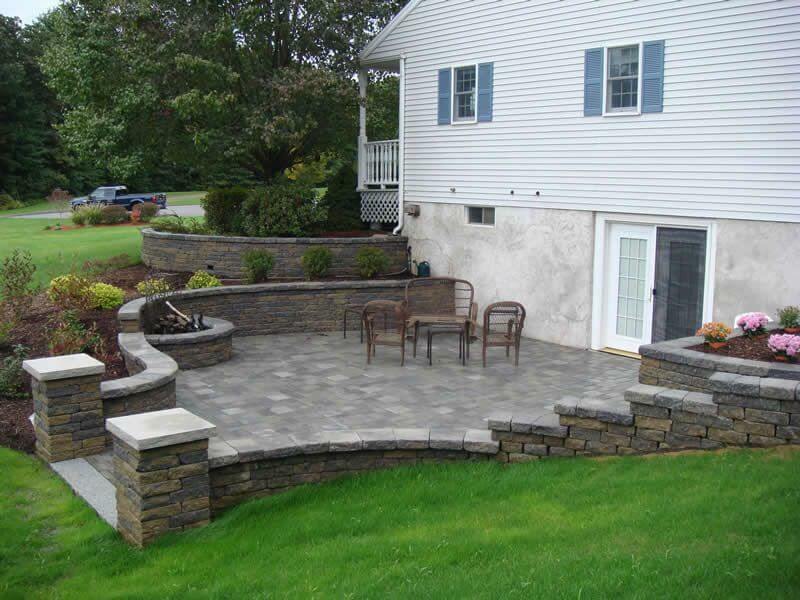 Rocks both huge and tiny can be utilized to enhance the landscape around the basement. The larger rock can be used to raise low walls, and define the sitting arrangements while the smaller rocks can be used to create rock gardens. These features will help you to highlight focus to the elements of nature in the patio and give it a private, cozy and lush appearance. You can also choose to furnish your basement to use it as a guest house for in-laws and friend’s sleepovers or a hang out spot for you and your buddies. The outdoor space around the basement could function as a private space for your visitors when they come over to your space. You can install large screen televisions and an elaborate music system in the basement. This makes it suitable for fun activities that you do not want to have in the main house. For example, the basement could be set aside for indoor house parties and late night fun activities with friends. It could be an amazing space to have fun especially because of the huge outdoor space. You can play games on the outdoor space or even use the basement for working out by installing gym equipment. There are very many walkout basement ideas you can explore to make your basement and the landscape beautiful and attractive. It is also important to know that when your walkout basement space is beautiful, it helps in increase the value of the house in the market. If you buy a house with a walkout basement or if you build a house with one, it is important to ensure that you make effective use of the basement and the space around it. Both, when used in the best way possible, ensure that you have a lot of space in your home. The choice of activities you set aside the basement for depends on your personal preference and the size of the basement.